All the latest SB Rail news, events and information can be found here. SB Rail are dedicated to promoting the rail industry and Engineering to develop up and coming young Engineers. 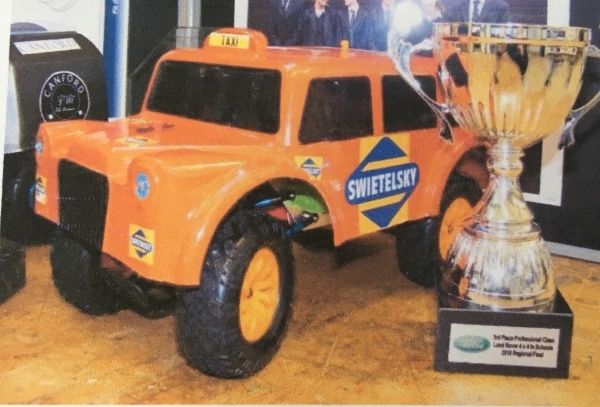 In addition, SB Rail JV partner Swietelsky recently sponsored Can4D Defenders in the Land Rover 4 x 4 remote control car challenge. We are delighted to hear that they were placed 3rd in the regional category and will move on to the national competition in April. We wish them the best of luck! SB Rail has offices and facilities at strategic locations across the UK. We also have access to various partner facilities and those of our parent companies providing comprehensive national coverage.